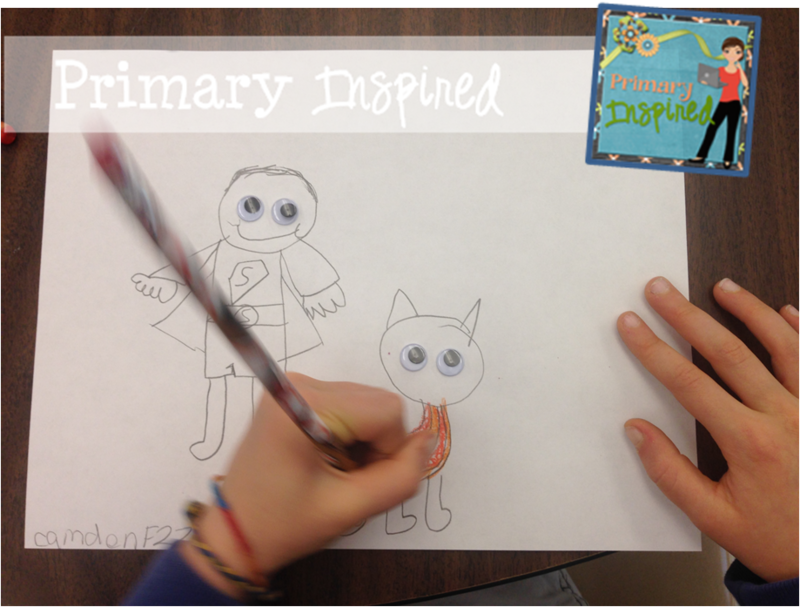 Primary Inspired: a Class*y Blog Hop! FREEBIE! a Class*y Blog Hop! FREEBIE! Thanks to Bubbly Borders & More! First....let's start with Happy Mother's Day! I hope everyone is enjoying the day! 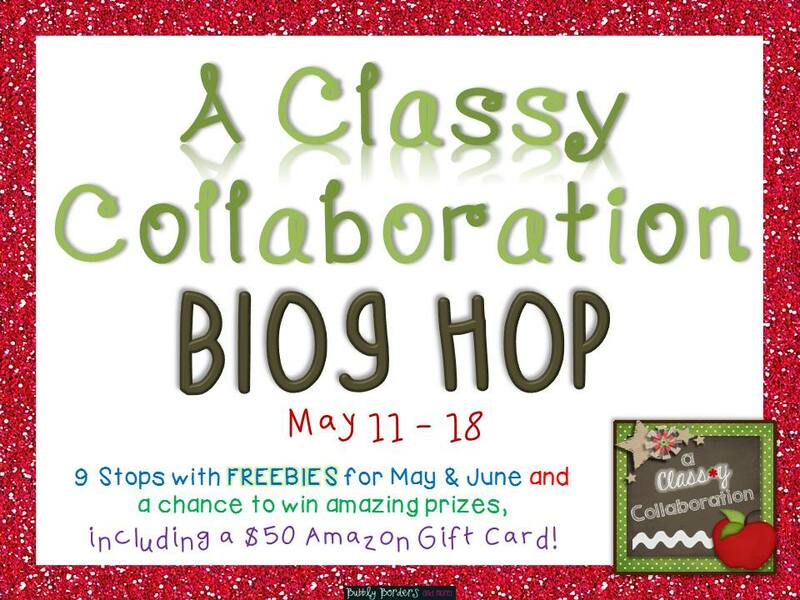 And now, to add to your day........several of us from a Class*y Collaboration are working together to bring you some fabulous FREEBIES and a pretty awesome giveaway, too! I'm your first stop on this hop, and here's what I have for you. My kiddos are in the middle of working on this one, and it has been FUN!! You start out by giving your kiddos a blank piece of paper with two sets of eyes glued on. I was inspired by this picture from House of Baby Piranha. 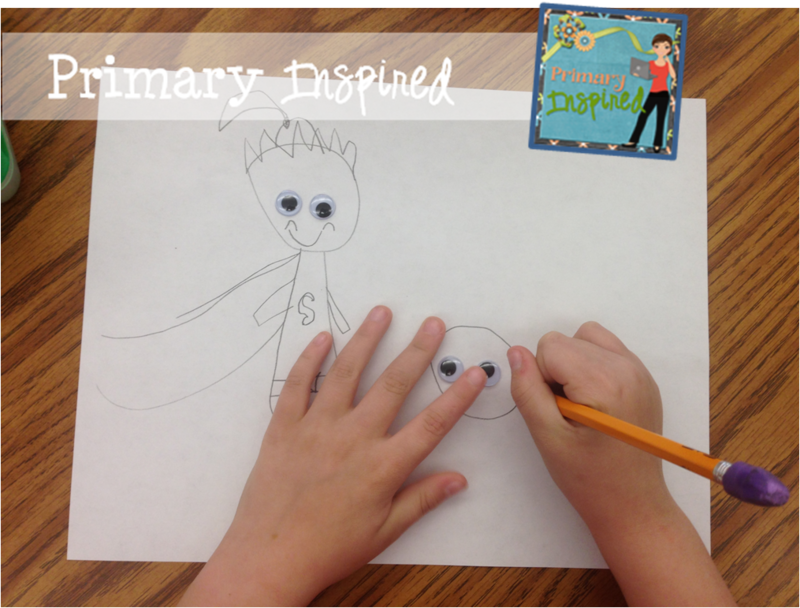 Kiddos get to draw two characters....the only rule is one must be a superhero. 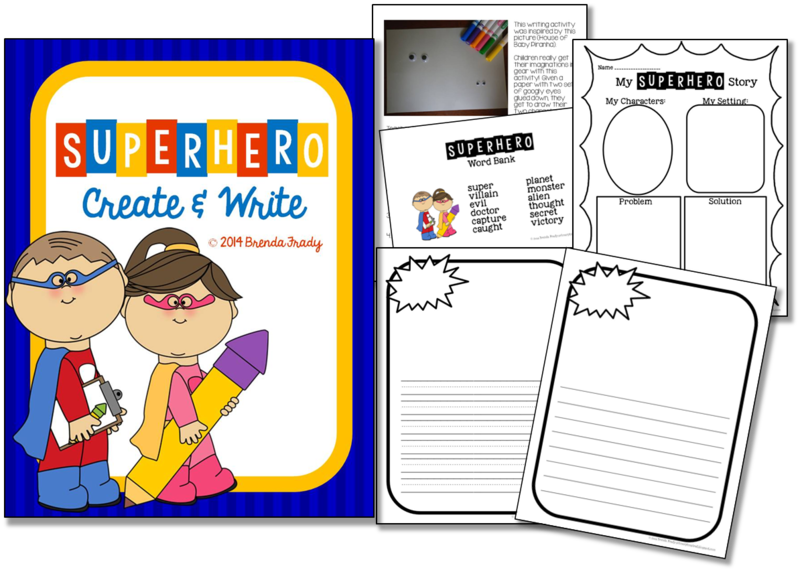 The other character can be a superhero, villain, monster, alien, puppy, kitten, even themselves! After drawing their characters, they start thinking about the story...and are asked to draw in the background.....wherever their story is happening....in the sky, outerspace, city...the sky's the limit! Literally! After the picture (but before coloring), I gave them a planning sheet that asked for their characters & setting, the problem, and the solution. Then we got busy writing!! They've already been writing on these stories for two days! I can't wait to share the finished products with you!! To grab this activity for yourself, just click on that image up above. If you like what you see, please leave some feedback love! And consider following my TpT store so that you find out about new products & freebies! Make sure to hop through the end and follow each blog and get your entries in for our giveaway! A $50 Amazon gift card AND a product of your choice from each of the 12 blog stops is up for grabs!! 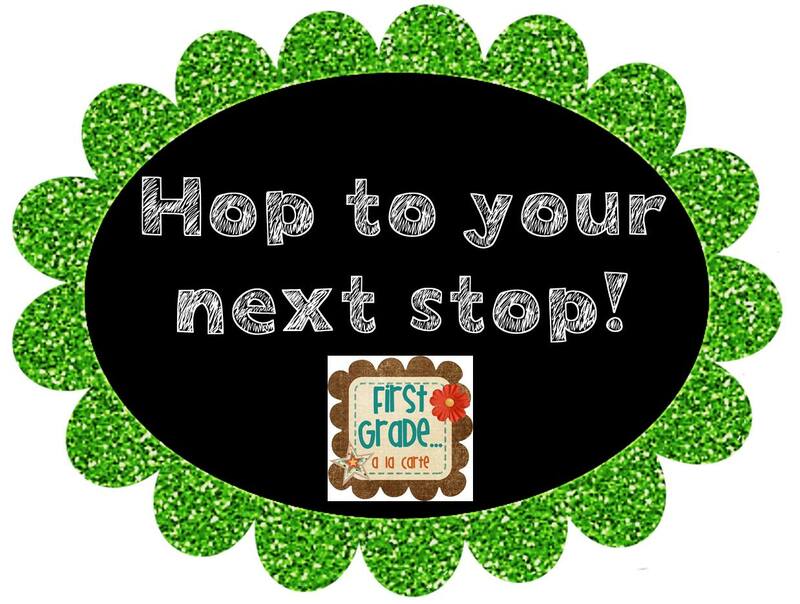 Your next stop is my sweet friend Kathy over at First Grade a la Carte. See you over there!